Pinocchio is widely considered to be one of the greatest animated films ever made. Made in 1940, this classic was Walt Disney’s second full-length film (after Snow White and the Seven Dwarfs). Pinocchio received two Academy Awards for best original score and best original song “When You Wish Upon a Star”, and has a rare 100% rating on Rotten Tomatoes. I remember watching Pinocchio as a little girl (on the Wonderful World of Disney I think), but until now my girls have never had the chance to see this masterpiece. Pinocchio: The Walt Disney Signature Collection was released on Digital HD earlier this month, and the Blu-ray/DVD combo pack will be available as of January 31, 2017. 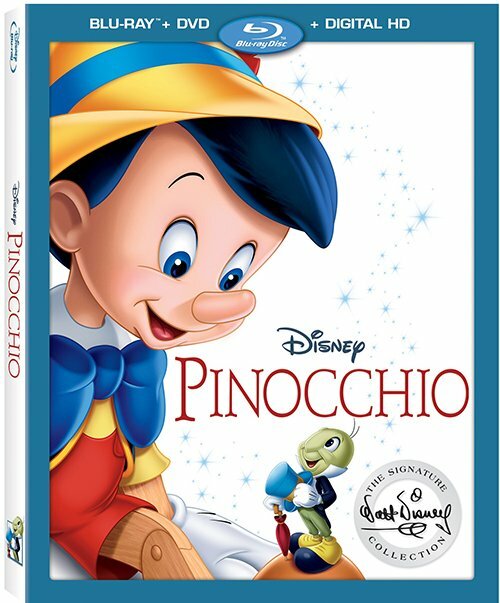 We missed picking up the 2009 Platinum Edition Blu-ray release before it went back to the vault, so I wasn’t going to miss adding Pinocchio to our collection this time around. The Blu-ray transfer is excellent, boasting sharp edges, rich colours, and deep blacks. It’s hard to believe this movie will be 77 years old this February! As I mentioned, the girls have never seen Pinocchio before so I was looking forward to introducing them to this classic. But I was unsure how well it would hold up for kids who are more used to the frenetic pace of the Pokemon cartoons (Tee’s latest vice) than the slower-paced story development featured in Pinocchio. It turns out I needn’t have worried. I was surprised by how utterly captivated both my daughters were with the film (after getting confused about the credits at the start of the movie of course). They had lots of thoughts about Pinocchio’s questionable choices, and were quite disgusted by the boys smoking cigars. “Smoking is dumb, Mommy!” The importance of honesty and consequences of lying are common themes in our house right now, and Tee thought it was very funny when I told her if she didn’t stop lying she might grow a long nose just like Pinocchio. At four years old, Kay did get nervous at a couple of intense scenes like Stromboli locking Pinocchio up in the cage and Monstro the whale chasing after Gepetto and Pinocchio, but she got over it quickly enough. 77 years later, and Pinocchio is still a hit! Pick up your copy of Pinocchio: The Walt Disney Signature Collection on Amazon. Walt’s Story Meetings: Pleasure Island – The Pleasure Island scene in Pinocchio had much more development than what is seen in the film. Join Pixar’s Pete Docter and Disney historian and author J.B. Kaufman as they explore artwork recently discovered in Disney’s animation research library revealing some of the attractions, gags and games, which Disney animators created for this iconic location of the film, that never made it on screen. In Walt’s Words – Pinocchio – Hear Walt himself discuss the making of Pinocchio through archival recordings and interviews. 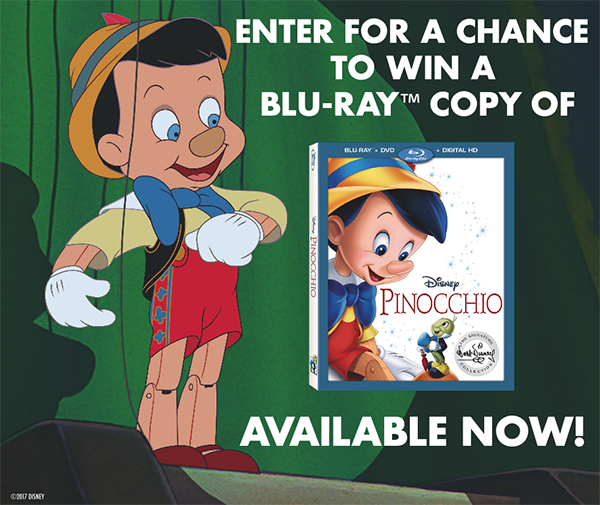 One of my readers will win a Blu-ray copy of Pinocchio! Enter in the giveaway widget below. 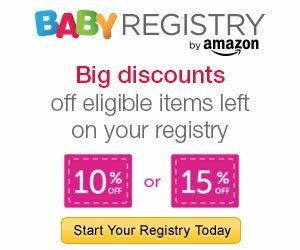 This giveaway is open to residents of Canada only, 18+. All the winner’s entries will be verified. My daughters favorite Disney movie is Beauty and the Beast. She absolutely adores Belle. My kids love Shrek.. They watch these movies over and over.. I love that Disney can connect to not just the kids but, the adults too! My child’s favourite Disney movie of all time is Snow White! My absolute favourite is Cinderella!! love that storyline so much!! Toy Story is my favorite. I love the idea of an imaginary world within our reality. My granddaughter’s all-time favorite Disney Movie would be Beauty and the Beast. I think her favorite was The Little Mermaid as she loves everything to do with the ocean. My daughter watched and re-watched ‘Finding Nemo’ so many times that we wore out 2 dvd copies. My daughter absolutely loved Beauty and the Beast! My granddaughters loved Frozen and Elsa is their favourite princess too. My daughter has always loved The Lion King, and 1 1/2 too. My sons favorite Disney movie is Cars!! My kids’ favourite Disney movie would have to be The Jungle Book. From Cinderella to Finding Nemo! My favorite Disney movie of all time is Lady and The Tramp. Our favourite movie was Toy Story 2! Oh GOSH! There are many Disney movies I could watch over and over again. One of my favorites was “The Cat From Outter Space”. As for cartoons I’d have to say I could watch Mulan over and over again. I think my kids will always reply that their favorite is the one they have just watched as they tend to get hooked on one and watch it repeatedly till the next one comes out. My daughter loves Cinderella and Beauty and the Beast! It’s changed over the years, but for now, it’s Brave. My niece loves The Lion King! Oh gosh when my son was younger a toddler, he loved Bambi, Wreck it Ralph or Ponyo. Now he doesn’t really have one. My kids really like the Ice Age movies! Sleeping Beauty is my favorite movie. My daughter’s favourite Disney movie of all time is Moana. Cinderella is my all-time favourite Disney movie. I love all Disney movies but Sleeping Beauty would have to be my all time favourite! My favourite Disney character of all time is Pluto. My daughter favourite Disney Movie of all time is Dumbo. She would watch it as a child a lot. We had tape it the VHS tape broke. 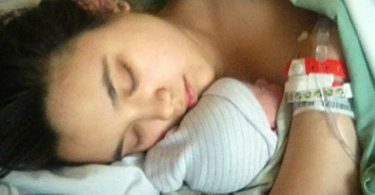 She was so sad. Back then you couldn’t buy everything on the internet. When she was in her early 20’s Disney release it from it’s volt, I bought one and give it to her for Christmas. It was her best Christmas present ever. My daughters favorite Disney movie is Tangled! We also love Cinderella and The Little Mermaid! My grandaughter loves the Little Mermaid. She could watch that one over and over again. My favourite Disney movie is Mary Poppins! I loved her sense of fun and imagination! My favorite Disney Movie of all time is Bambi. It didn’t start out too well with his father being shot, but it was a great movie with comedy, pathos and romance. We love so many of the Disney movies, I’ve always loved Cinderella.